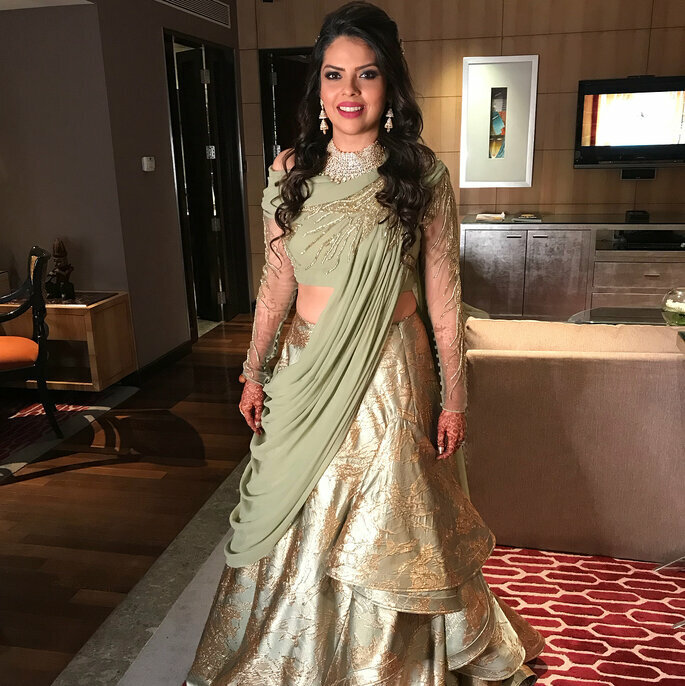 Our Indian brides want to make a style statement with their customized trousseau on the wedding day. 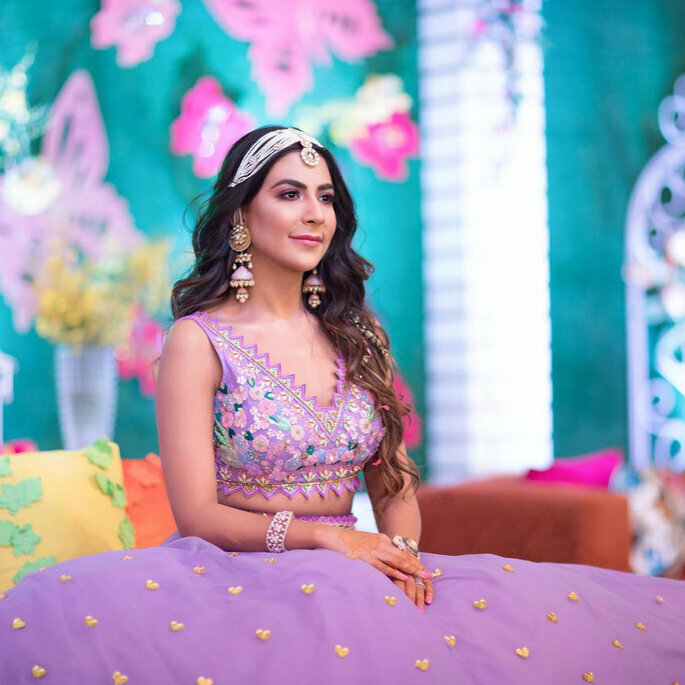 It’s relatively easier to find inspiration for contemporary lehengas but not for the blouses and we know the brides pay equal attention to tailoring lehenga & blouse to startle everyone with their beauty. And this is why we have gone a step ahead to find the best unconventional bridal blouses so you end up wearing only the perfect splendid ensemble that you desire. 1. This vividly colored butterfly silhouette for the bridal blouse is both quirky and exquisite. 2. When unusual pretty shades like lilac are mingled with unconventional pennant bridal blouse, we get this alluring ensemble. 3. 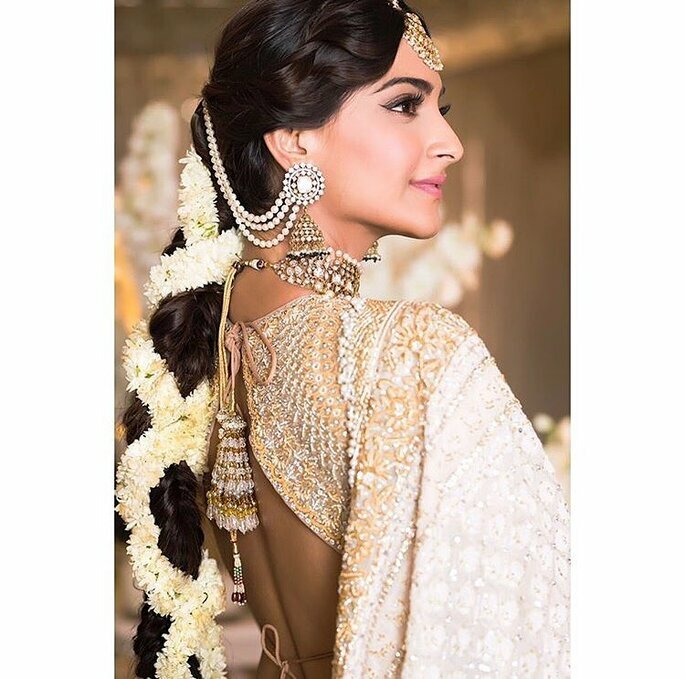 We love this bold and beautiful combination of a backless embellished blouse with a halter neckline that Sonam Kapoor wore for her sangeet. 4. This bridal blouse flawlessly integrated different fashion elements. This moderately off-shoulder blouse with its deep neckline and the attached belt at the bust line just does wonders. 5. Give your heart neckline a perfect twist by accessorizing it with fringes on sheer embroidered shoulders & arms. 6. You don’t need to look for ‘draping dupatta’ videos when you can stitch two dupattas and stylize them artistically like the blouse below. 7. 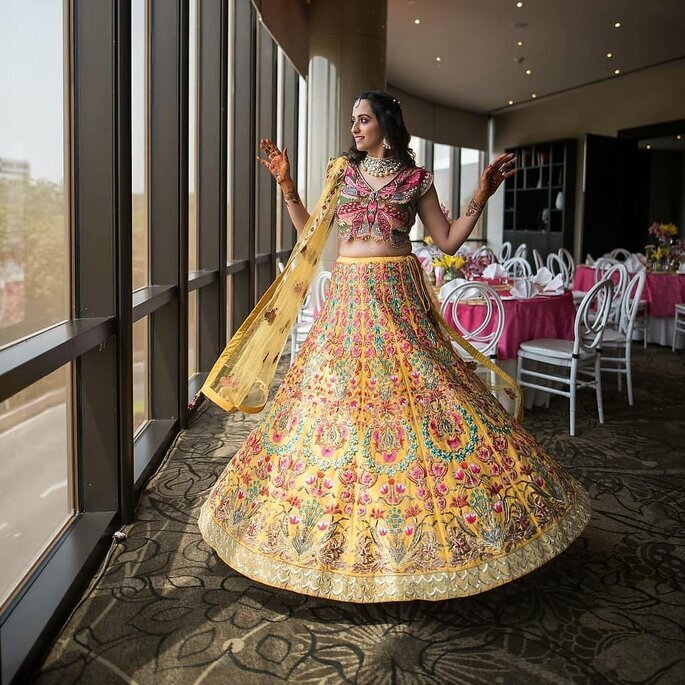 We have seen petal pushers on the clutches but petal pushers on a colorful & quirky bridal blouse look equally sumptuous. 8. 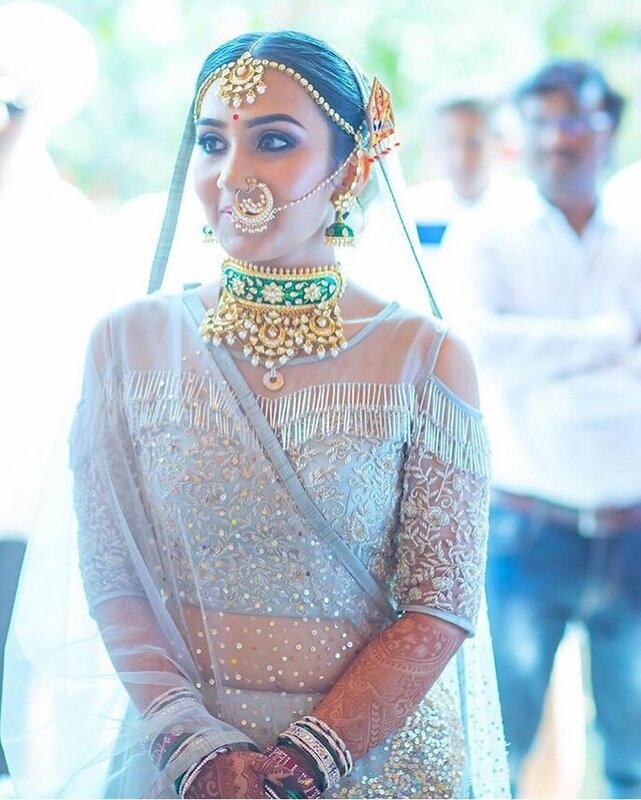 This bridal blouse accessorized with two different fringes to make it a resplendent one. Because there is no such thing as too many fringes! 9. 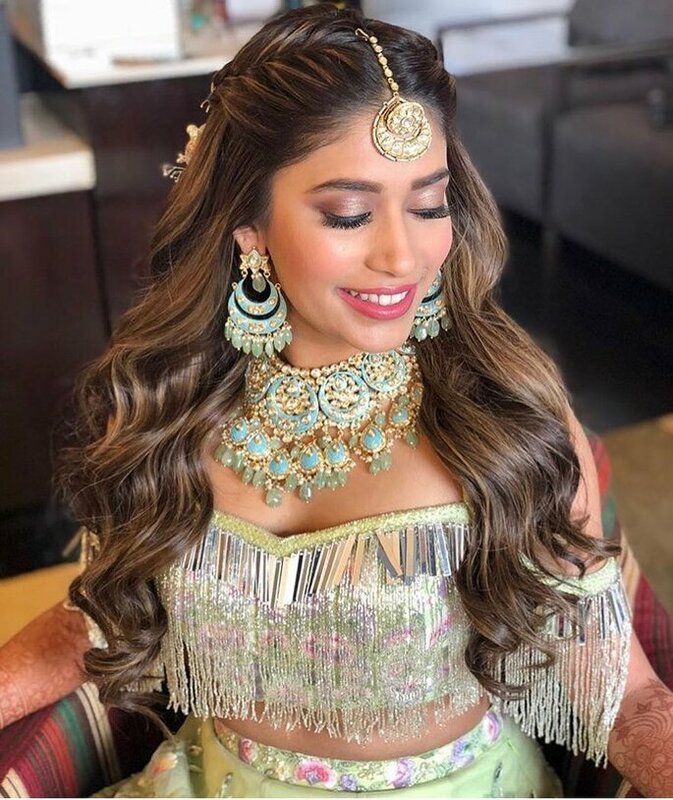 You can turn your basic bridal blouse into something unique just by dangling the chains of adornments at the lower bust line. 10. 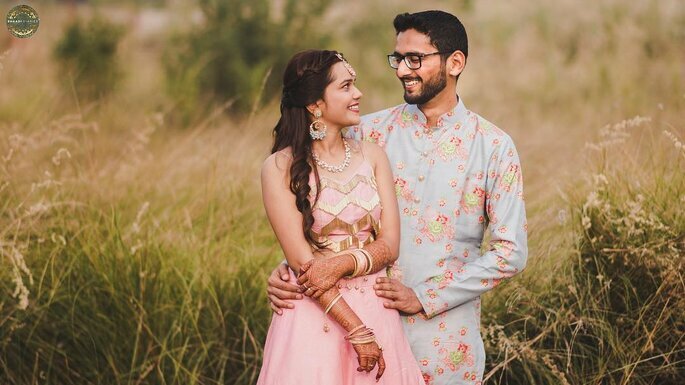 Patchwork patterns on your bridal blouse or patterns with different adornments will transform even your vintage blouse into a modernistic creation.